Your gift to the Central Gardens of North Iowa Endowment Fund with the Cerro Gordo County Community Foundation will help support the charitable activities of Central Gardens of North Iowa. Your gift to the Cerro Gordo County Community Impact Fund with the Cerro Gordo County Community Foundation allows us to continually respond to the current and unique needs of Cerro Gordo County. By making this gift, you give us flexibility to fund charitable programs and projects in the community to explore the arts and celebrate diversity, support healthy lifestyles, protect natural resources, educate future generations, preserve the past, build hope for tomorrow, ensure a safe place to live, and improve the quality of life for all. Your gift to The Children's Theatre Foundation Fund with the Cerro Gordo County Community Foundation will help support the charitable activities of The Children's Theatre. Your gift to the Clear Lake Arts Center Endowment Fund with the Cerro Gordo County Community Foundation will benefit the charitable activities of the Clear Lake Arts Council (dba Clear Lake Arts Center). Your gift to the Clear Lake Fireworks Endowment Fund with the Cerro Gordo County Community Foundation will help to cover the costs to provide an annual 4th of July Fireworks display and related activities in Clear Lake, making Clear Lake a favorite holiday destination for many residents and visitors across the Midwest.  Your gift to the Clear Lake/Ventura Area Community Impact Fund with the Cerro Gordo County Community Foundation allows us to continually respond to the current and unique needs of the communities of Clear Lake and Ventura. By making this gift, you give us flexibility to fund charitable programs and projects in the community to explore the arts and celebrate diversity, support healthy lifestyles, protect natural resources, educate future generations, preserve the past, build hope for tomorrow, ensure a safe place to live, and improve the quality of life for all. Your gift to the Rand and Angela Determan Family Fund with the Cerro Gordo Community Foundation allows recommendations for grants to be made each year to support charitable causes that carry out the mission of the Community Foundation. Your gift to the Engage! Fund with the Cerro Gordo Community Foundation will help nonprofit agencies to provide winter apparel to benefit the citizens of the Ventura and Clear Lake, Iowa areas. Your gift to the Jim W. and Ann Kuhlman Family Endowment Fund with the Cerro Gordo Community Foundation allows recommendations for grants to be made each year to support charitable causes that carry out the mission of the Community Foundation. Your gift to the Marty and Carol Ramaekers Family Fund with the Cerro Gordo County Community Foundation allows recommendations for grants to be made each year to support charitable causes that carry out the mission of the Community Foundation.